3.1 out of 5 based on 42 bloggers and 3 commenters. 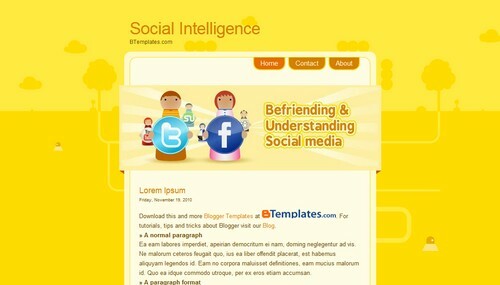 Social Intelligence is a free blogger template with 1 column, web 2.0 design and vectorial elements. Always get this when trying to upload: Invalid variable declaration in page skin: Variable is used but not defined.